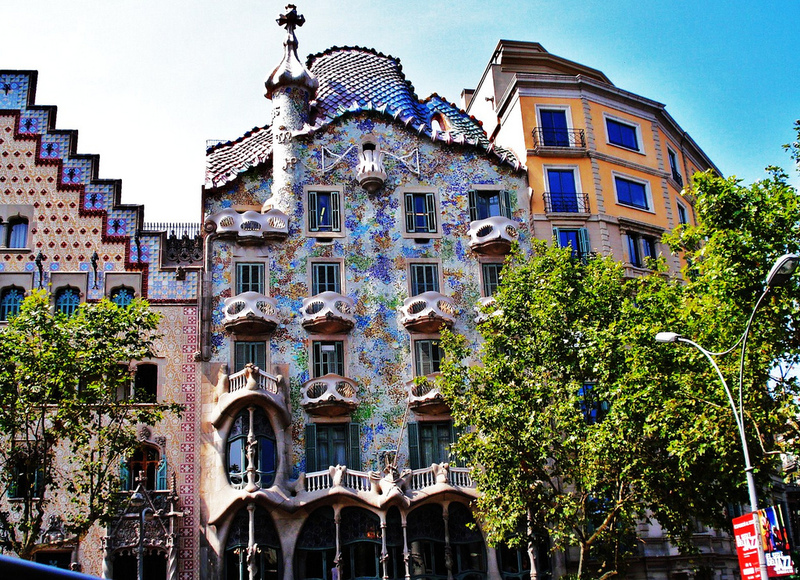 The iconic Casa Batlló is a key feature in the architecture of modernist Barcelona. Commissioned by the textile industrialist Josep Batlló, it was built by Antoni Gaudí between 1904 and 1906. In 2002, Casa Batlló was opened to the public as a museum and cultural event space. In 2005 it was recognized as an UNESCO World Heritage Site. Hidden behind the famous modernist facade, which mirrors a calm sea, is a world of surprises and refined architectural details by the Catalan master. Below you will find a gallery of the incredible Casa Batlló along with information on the building’s history and design. Enjoy!